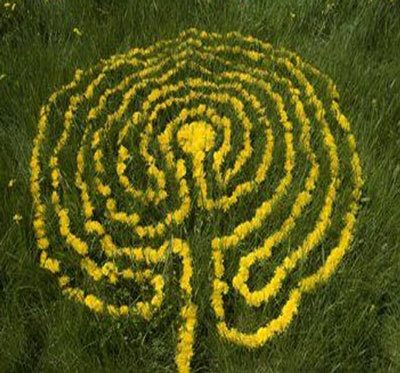 Walked among a Labyrinth flanked by dandelions today. I wanted to rush back home for my camera to post it to the TLS 365 Experience, but realized a photo really wouldn’t capture the beauty nor the essence. Instead, I feasted my eyes on this lovely site, every once in a while wanting to bolt to retrieve my camera. I soon realized how my zeal to share removed me from the experience of savoring something for the pure pleasure it provided me in the moment. I thought maybe I was copping out, though, as soon as I returned home the sky darkened and there was a torrential downpour. Nature spoke wisely and I am glad I listened to the still small voice that told me to enjoy the experience and when to simply go home. Celebrating the dandelions, the reminders, the walk, the appreciation and the realizations with happy synchronizations to listen to, trust and allow! An honest walk that satisfies. Step into the petals of possibilities today with what you have around you. Use that to discover your appreciation and see what you step into next. 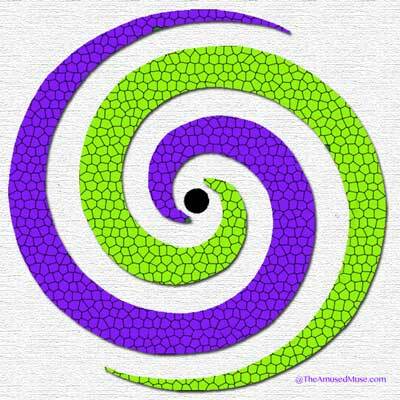 On this last day of March, the 11th day of Spring and the ending of the first quarter of the year in Awareness, we come upon the end of a fascinating month of realizing the value in comprehension of the spiral and the surprise in discovering how relative they are in our lives. In our year of living honestly, we are essentially realizing and surprising what we are capable of and so with great appreciation we come to the end of the spiral…. or do we? We defined a spiral at the beginning of the month as a curve in a plane or what occupies the space that moves around a center point in a gradually expanding manner. We’ve explored a number of different components of a spiral and many different types as well as a variety of applications that are easily identifiable and some that require a new perspective. 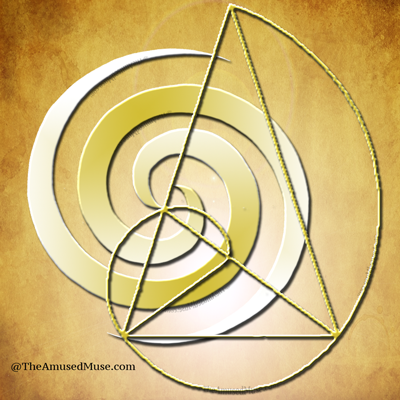 We have also considered in this month a greater relevance for the spiral in our mere existence within ourselves and within the geometry of our universe. Walking this day in great reflection of the spiraling nature of our existence and ability in review of this time in exploration, what is revealed is a vastness of potential that is open and available to us, were we to only take it in stride. We have this greatness of existence, for but a mere 100 years if we are fortunate, and yet we find much of what we can do untapped. It is the paradox of life to find our abilities on one hand and then discover a new realm of ourselves in sharing them on the other. In this quarter of awareness, we have looked at how we begin, how we love and now how we integrate universally with all. As it comes to a close, review your realm of awareness and notice how it has grown, adapted or evolved. Prepare for the next season in how we educate what we are aware of. Marvel in the presence of your steps in review of this great month of spiraling exploration and this season of awareness. Where you have found truth and honesty with your efforts? The spiral is a fascinating natural phenomenon as it can be found in the largeness of our galaxy or in the mighty force of a hurricane and yet exist in the smallness of a seashell. We can find them within the structure of our DNA and human composition and we can find them throughout our culture in civilizations of both past and present. We can see them in nature, art, design and in the patterns of the labyrinth. 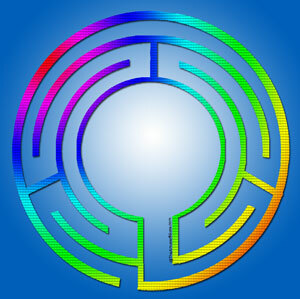 We can also experience the wonder of the spiral in our natural sense ability in the way we walk through a labyrinth. 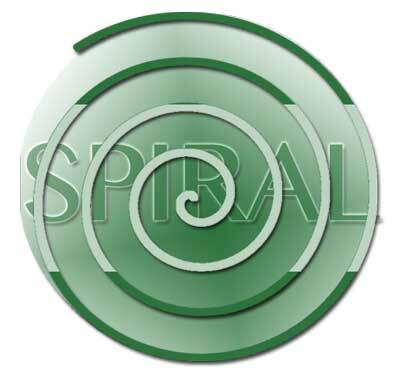 With the spiral in mind and in body, an innate sense of hearing was activated today. Listening for the spiraling sounds around and in the depth of listening came the ring of a church bell. Listening took on a new form as each step held an echo of weight and balance in the motion of body and sound. Listening intently, the sound swirled into the cavity of the ear meeting a natural spiral and reverberated through the brain and down the spine. It brought greater notice of the swing in the step and the joint and muscle placement of the walking movement. It was as if an opportunity to become the sound, spiral and the labyrinth all at once presented itself. In this moment a realization occurred of a way to use the Tibetan bowls a bit differently as a listening exercise on the labyrinth. A nice surprise followed as an uplifted feeling spiraled through brain and body at the same time. Walk with observance of how the spiral within you moves within the spiral of the labyrinth design. Wherever we are in the world, the one place we can always go into to get away from others or out of a discomforting place is within. For some it is not a known destination or one that may be fully welcoming in the moment, though it is the place where our truth exists. That can be liberating, encouraging and wonderfully reminding of who we are and how we are meant to be useful in the world. It is a journey to appreciate and love, one step at a time. Know the gifts are both deep and priceless. 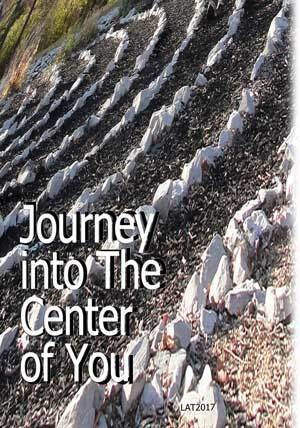 The labyrinth’s journey unwinds us slowly to discover more in each step and to wind our way around to realizing its center and it is a journey of steps to get there. Realize a significant prize is in the steps from here to there. In a hurry and having much to do, I wanted to fit in a walk in the morning. What I learned is that a walk is not fit in, it is not just another thing to do because it is on my list. All the hurry faded away and things just made sense with ample time to do all I wished. I realized after reaching the middle that I was reaching my limit and my inner wisdom spoke in remembering the labyrinth when all seemed to be over whelming. This middle point in my being knew I was walking other peoples hurry and not necessarily my own and wisely brought up the idea of the labyrinth. The calm and gentle feeling after the walk gave me a good reminder, that walking other’s schedules made me not fit in to my own. Very sad today. I am not sure how to explain the depth of what brings me to this sadness, though it is heavy and deep. I choose to walk the labyrinth today however in honor of this sadness as it’s pain and discomfort is a reminder that I cared, loved and was involved. 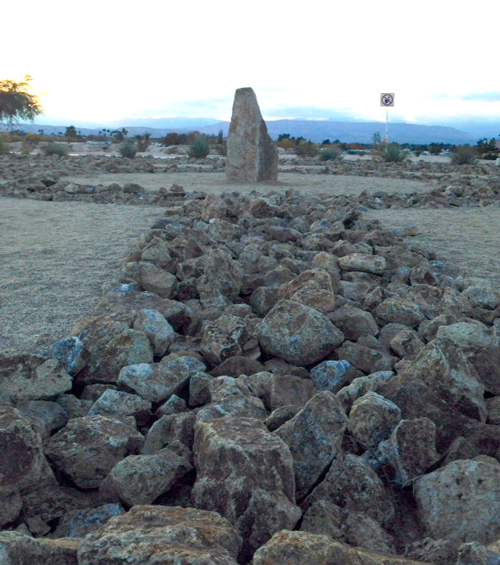 So I walk the labyrinth in this way in observance and appreciation. As I walk I am reminded of the actions I took and efforts I made that brought me to this point. I turn the corner and turn my thoughts from fault to appreciation that I made the effort. I am reminded of the importance of my efforts and the importance of myself and I walk on. I consider the feelings I have had and as I make another turn, I am finding myself noticing both the uncomfortable pain and the fact that I have feelings. I notice where and what hurts and I realize the throbbing and pulsing and still myself with hand over heart. There is throbbing and pulsing and I am aware of how this beating heart allows me to care and flow and that I did. As I continue I find my thoughts arise and a diminished perspective sees the habits I have outgrown revisited and the ones that still evoke self doubt and sabotage. Interestingly these thoughts mount as I come to make another turn. On the other side of it, I realize what has been, what is and what I wish to think beyond. I realize worth of self in these steps and the thoughts that support what I can do, what I offer and what I am. As I come into the center I come into the choice of the way I appreciate my life and how the sadness becomes my teacher and a reminder of my gladness often. As I leave the center, I move onto each path in the thoughts and feelings of what I hold dear and how it heightens my heart and moves me into a gladness for my sadness and an appreciable sense of well being. Once I step in… I Begin. I begin to know more. until I come to the end. Then I complete… and begin again elsewhere.